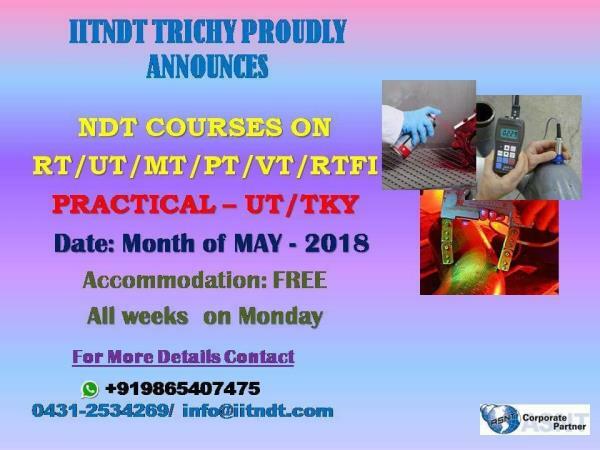 Institute of Inspection Technology & NDT Resources(IITNDT) is a reputed institution providing training, certification, and services in Quality Assurance/ Quality Control (QA/QC) and Non-Destructive Testing (NDT). 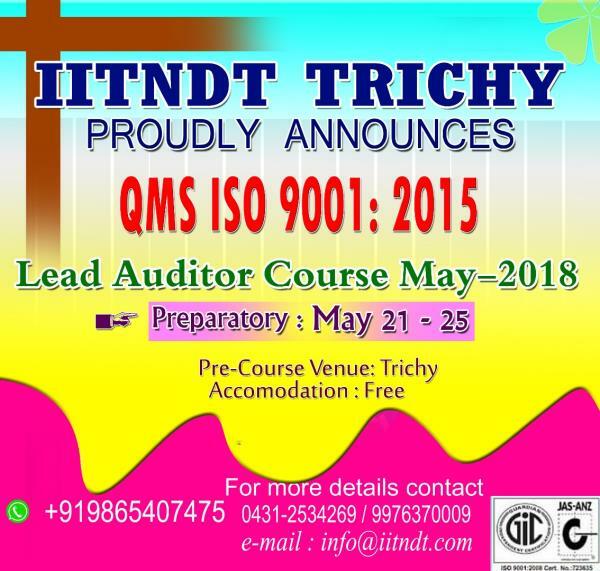 We have been producing the finest of quality control professionals for the past 15 years extending our reach to all over South India, The Middle East, Nigeria and became the pioneers of QA/QC, NDT certifications in Nepal. 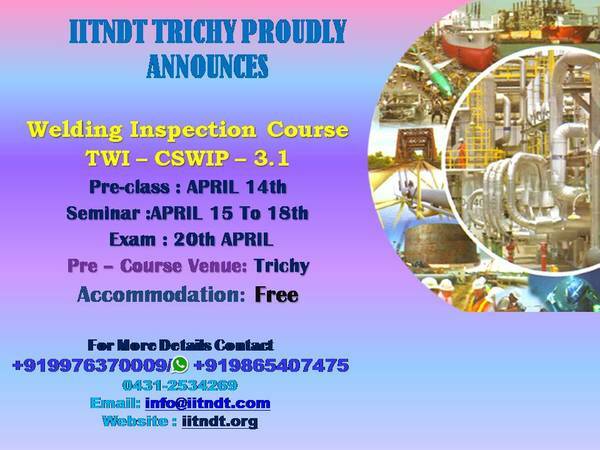 We at IITNDT is committed to provide our candidates with the best of learning experience and practical study. 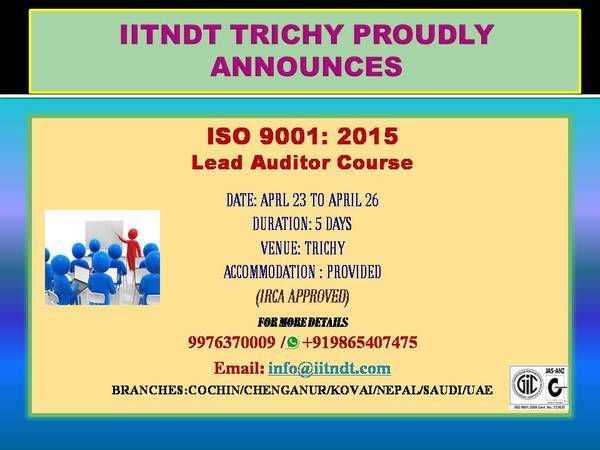 Also we provide 100% job placement assurance for our candidates. 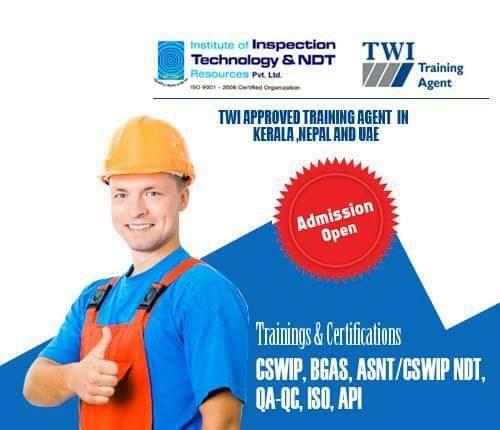 We conduct training and certification programs in QA/QC and NDT approved by the American Society for Non-Destructive Testing (ASNT) and The Welding Institute-UK (TWI-UK), American Petroleum Institute (API), etc… We have corporate partnerships with international organizations like the American Society for Non-Destructive Testing (ASNT) and The Welding Institute-UK (TWI-UK), American Petroleum Institute (API), etc… enabling us to conduct training and certification programs for persons aspiring to become a valuable quality personnel. We have high end class room and practical training facilities, giving our candidates the best of the learning experience. The finest and experienced lecturers train and guide our candidates to be the perfect suite to the present day industry requirement. We support the QA/QC requirements of the industry through our sister concern Industrial Support Services. The company is based in Dubai with our services extending through out UAE,India,Nigeria,Saudi Arabia,Oman & Kuwait. 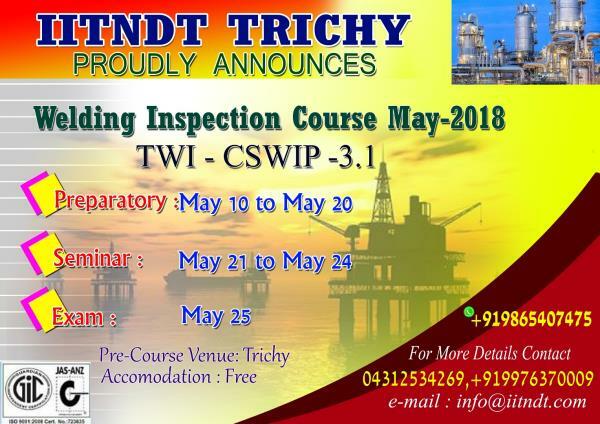 We provide all inspection services including welding & coating third party inspections, Conventional NDT (UT,RT,MT,PT),Advanced NDT (PAUT,ToFD, ECT, MFL), PMI, Hardness Testing etc.